Loaded show for the tournament for you guys! 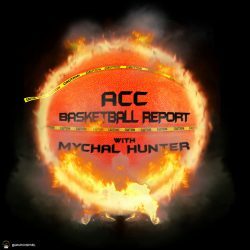 I have Will Ojanan (@WillsWorldMN) from the ACC Nation podcast talking Virginia. I have Matthew (@hokiesmash_ASD) from the ACC Weekly podcast talking Virginia Tech. I have Coach D (@NCCoach910) on talking EVERYTHING. I also have my two guys, Charlie Mano (Manolakis) (@charliemano8) and Special K (@kinchen1andonly) on to talk about the brackets, NC State (snub?) and we give our upset picks, our final fours and our National Champions. Don’t forget to join the ACCBR Bracket Challenge on ESPN!